What they think is a meteor heading for earth is really a space ship from outer space, which Rocky Jones must deal with. Jimbo Berkey wrote: When a strange meteor, that turns out to be a rocket ship instead of a meteor, crashes next to the space telescope where Bobby and Professor Newton are watching, they discover that the strange ship came from a moon of the planet Venus. 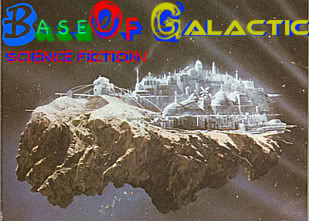 The Secretary of Space decides that Rocky Jones must lead an expedition to Fornax to discover if life exists there. After a harrowing trip through space, the group lands on Thorax and discovers not only a human-like people that can speak perfect English, they discover a rogue scientist from Earth that crashed there a few years earlier. The rogue scientist has persuaded the people of Fornax that Earth is inhabited by very bad people that want to make everyone in space subservient to them. This means that Rocky, Winky and the rest of the crew are in mortal danger as they try to befriend the people of Thorax. This movie was assembled from several episodes of a popular television series and released to movie theaters. You will notice the difference in acting and camera techniques that marked the differences in story telling approach, and you will enjoy the simple special effects that dazzled everyone in 1956. Pop a bowl of fluffy white-kernal corn and watch as young Bobby goes with Rocky Jones, Space Ranger, into the depths of space and the first encounter with life on another planet.